Are you interested in basketball? Do you enjoy playing pick-up games and making new friends through them? Well say no more! As of July 25, a new full basketball court was added into the south parking lot of the popular Madison Park. Open from 9 a.m. to dusk, this court is the first full-sized basketball court in the city. Although there are half courts in the parks all over Lakewood, it’s much more enjoyable to be able to play games on full-sized courts. The courts are open to the public everyday, with pick-up games every Wednesday. General rules are posted at the park and court. With construction taking only around a month, citizens of Lakewood were excited for the new addition. 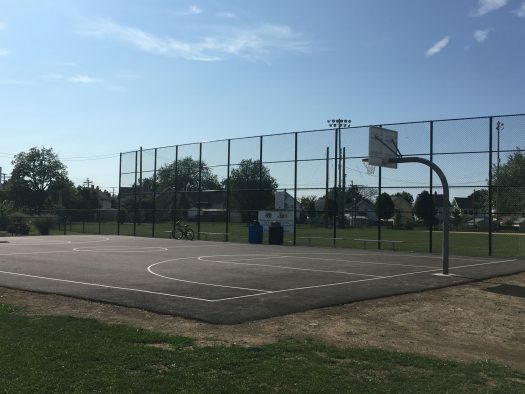 The Lakewood Outdoor Basketball Committee (LOBC), which was founded in 2009, has made it their purpose to bring outdoor basketball courts back to Lakewood. Along with Mayor Mike Summers, they were invited to officially open the court at the ribbon-cutting ceremony. In fact, they were the ones to push for the new court to be built. “Adding the new soccer futsal courts last year and a full court basketball court this year in Madison Park provides our residents with additional opportunities to be social, active, and healthy,” said Mayor Summers. “It was a long time coming and we are excited to join with youth basketball players and the Mayor to kick off this full court basketball addition to the community”, said Roger Sikes of LOBC. As long as you love the sport, no matter your age, your ability to play basketball, or how socially awkward you are, you can be certain you will enjoy your time at this new addition to the City of Lakewood.